They say Small is Beautiful. 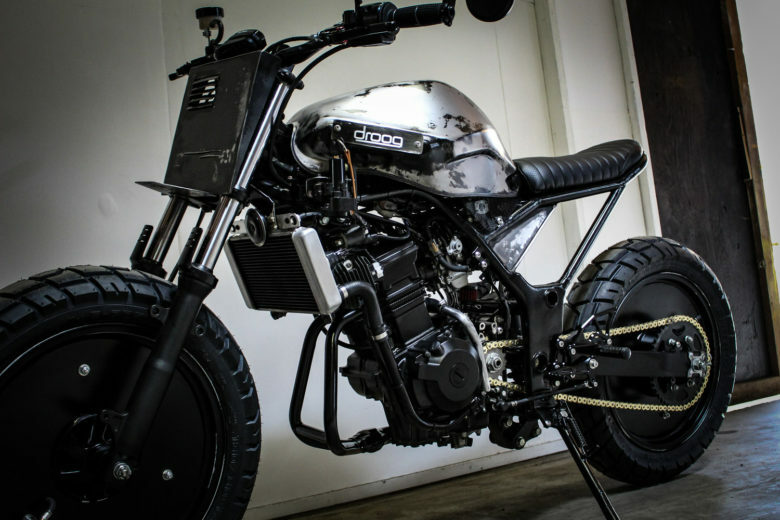 But looking at Droog Moto’s new build i can see Small is Aggressive. 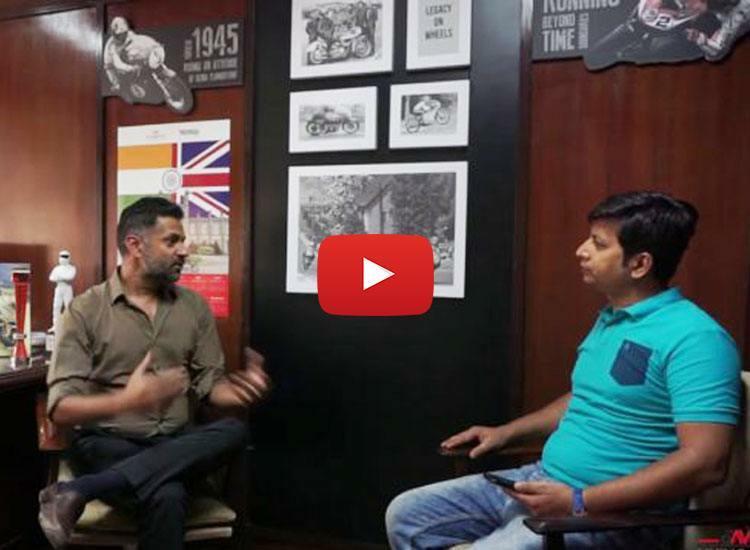 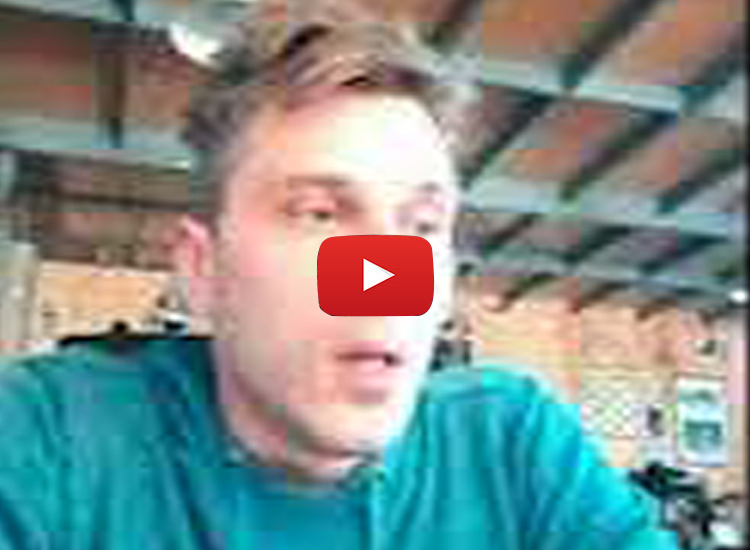 “This bike is meant to be ridden like you stole it! 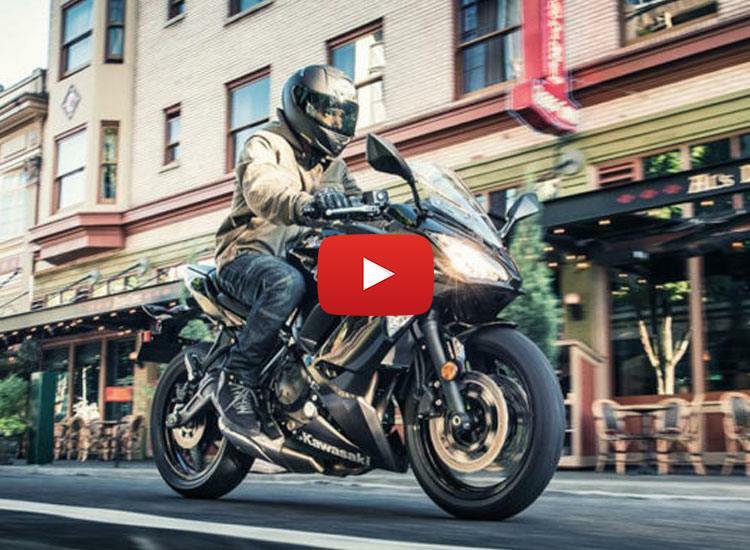 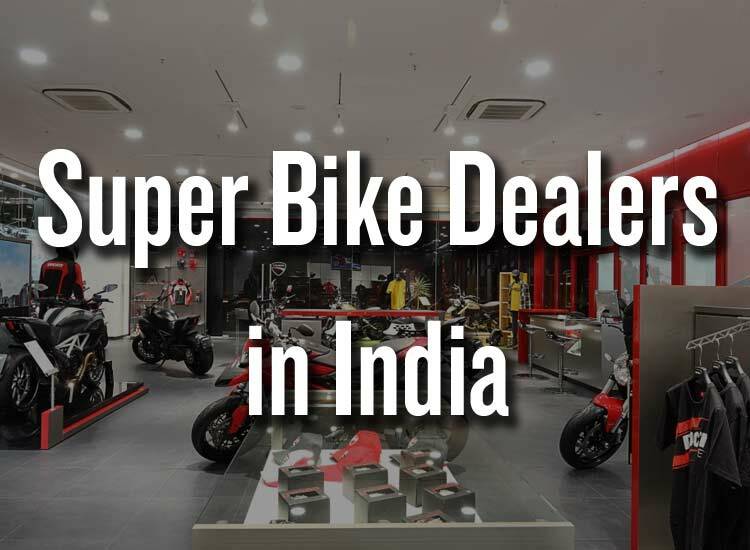 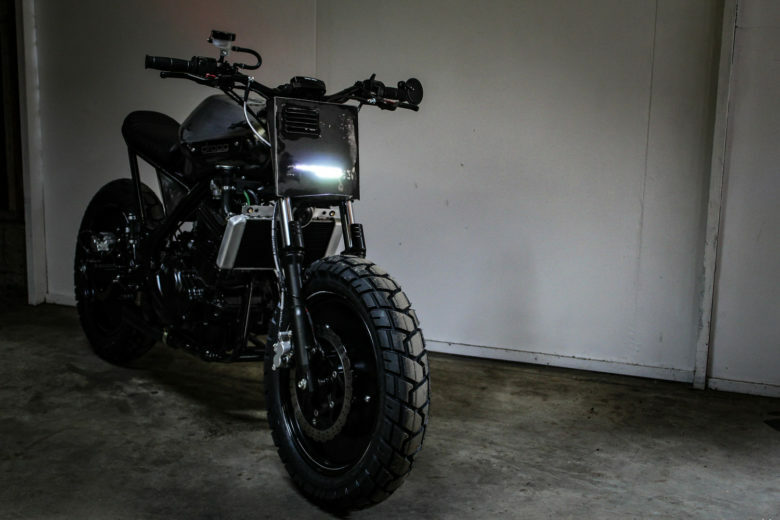 High RPM’s and high adrenaline keeps you tearing up the streets on this mean brawler “. 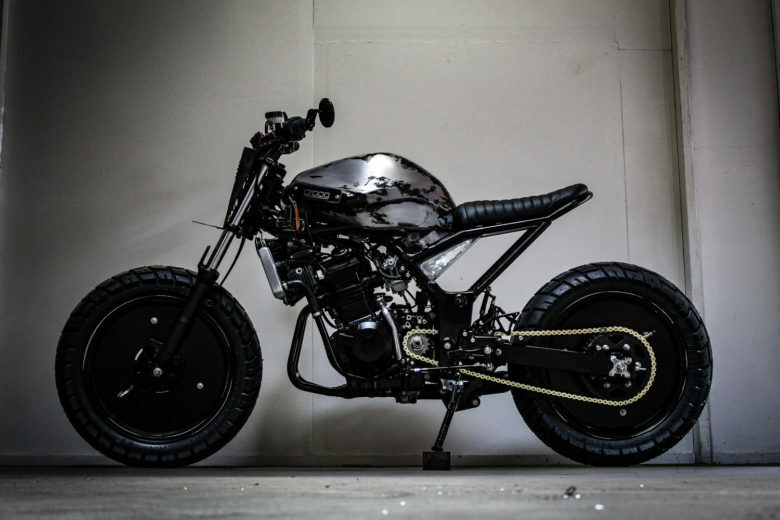 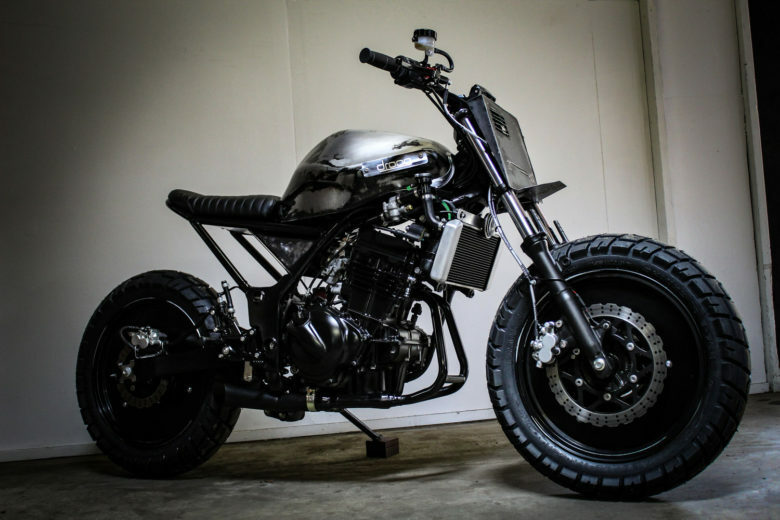 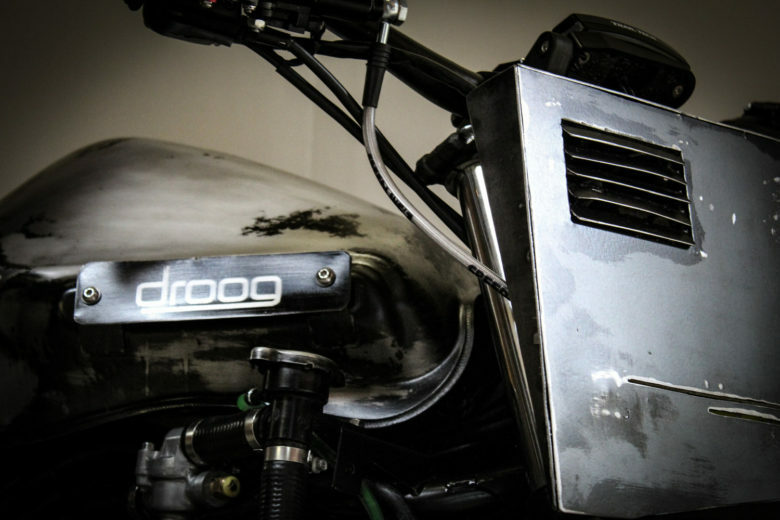 This is what Droog Moto says about this custom Kawasaki Ninja 250R. 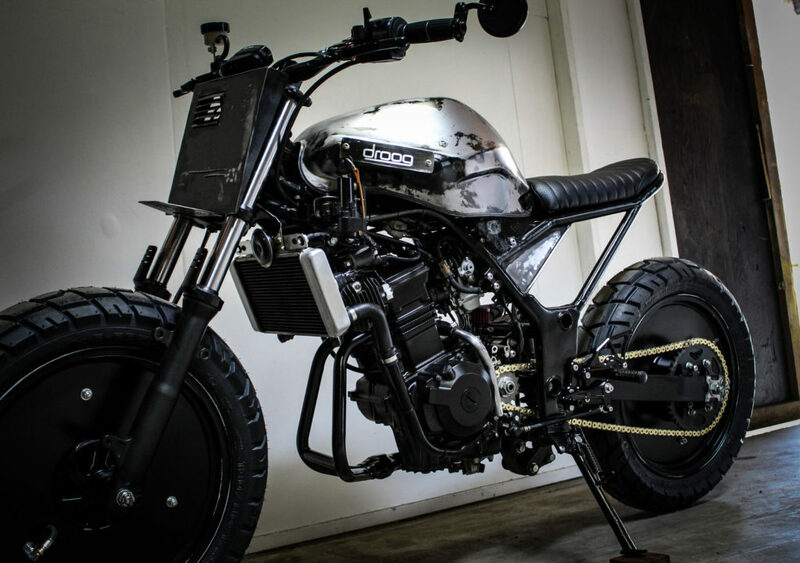 First impressions well it doesn’t look like Kawasaki Ninja 250R at all and Yes do i understand that it was one of the objectives of Droog Moto while building it to make it more versatile and has the DNA to typical Droog Moto Customs DM-12 which is custom made using the Kawasaki Ninja 650. 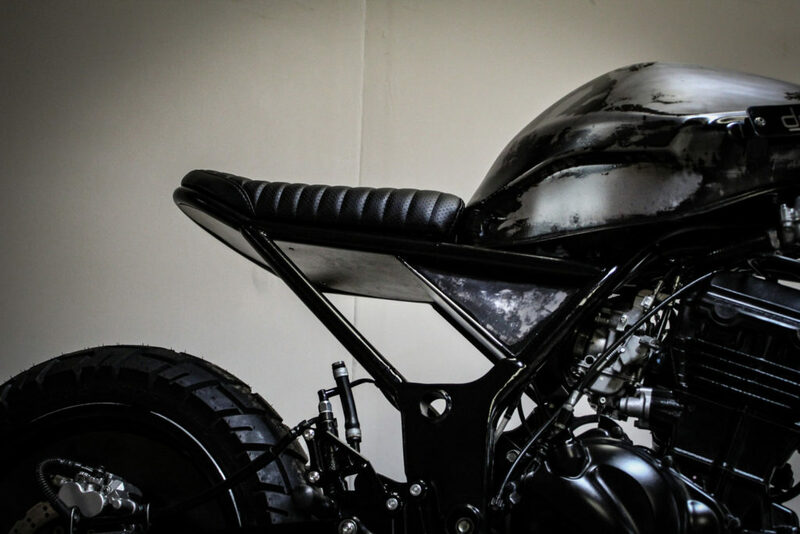 However i feel DM-12 was most aggressive build from Droog Moto that had golden color paint hint with black color. The current build that is called 250 Brawler has silver shade as compared to its elder sibling DM-12 but is build on the same lines apart from the exhausts which is narrow and single and the front portion of headlight is always made with rectangle shaped metal that goes with entire body structure. 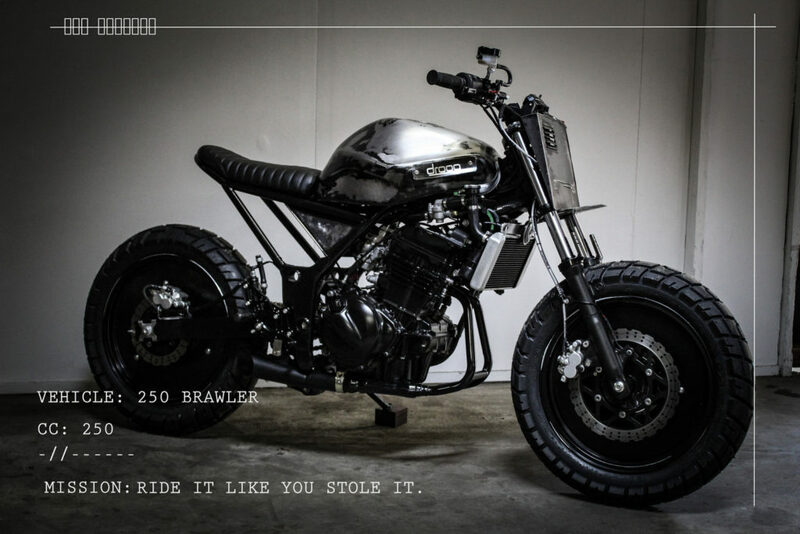 Unlike the elder brother 250 Brawler does get support to the riders seat by two sharp black metal rods which is the part of the entire frame of the bike.Seat is black and leather finish with the tubular LED rear light which is build inside the frame and is just below the seat.Fuel tank gets Droog signature in metal from the both the sides. 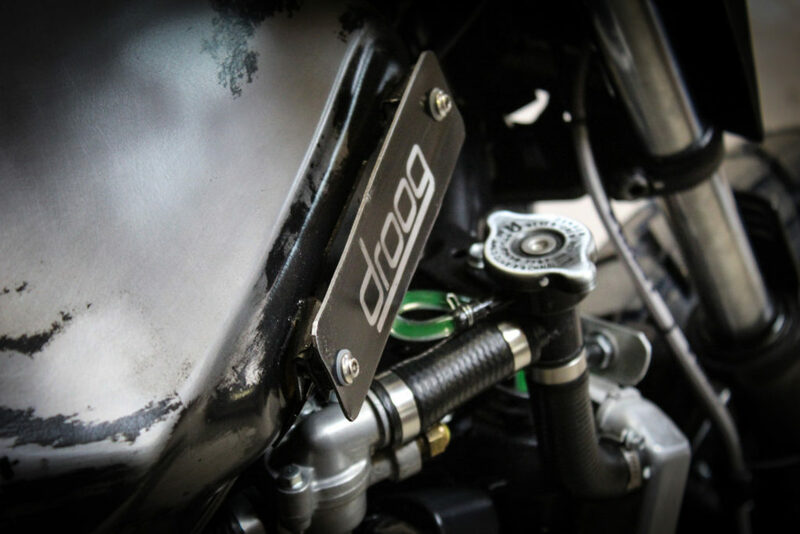 The area for Key is just put below the Droog signature on the right hand side of fuel tank which is something different to look at. 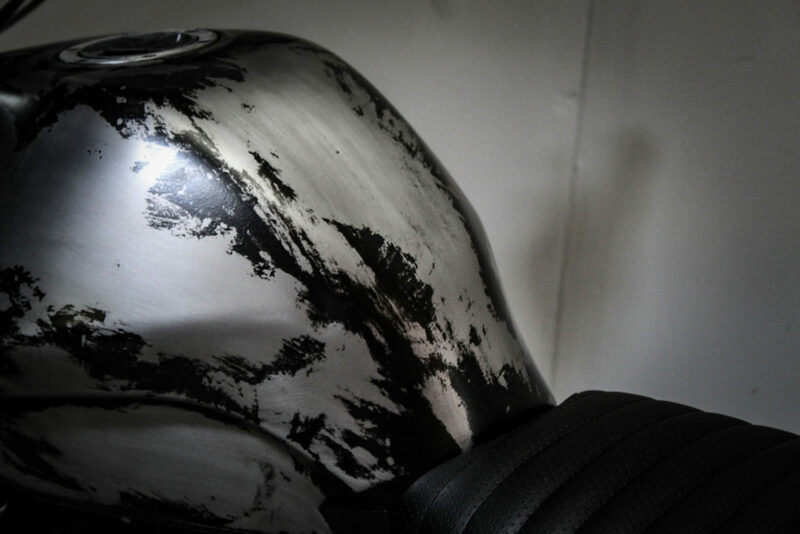 Silver radiator matches with the silver paint scheme of the bike. 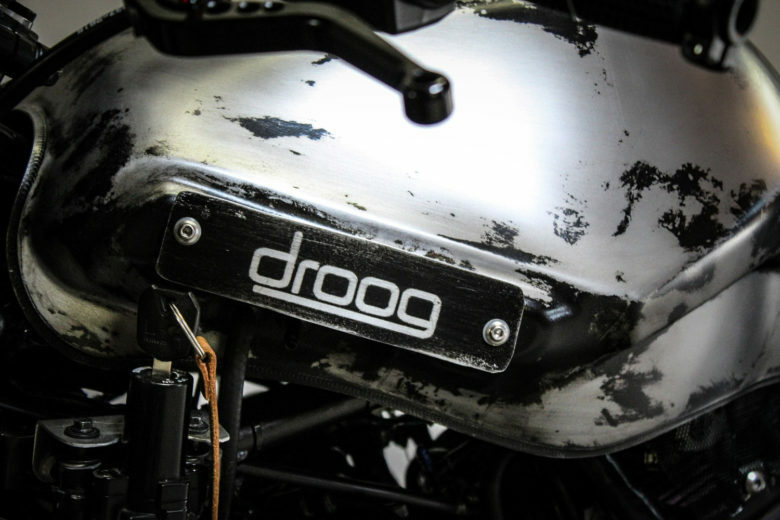 The looks are extreme, stylish and radical that goes with the lineage of Droog Moto. 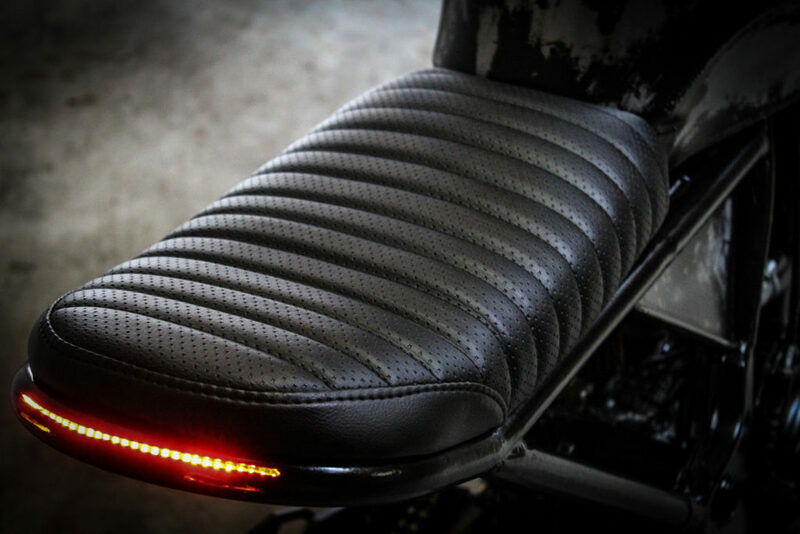 If you want to buy one dont hesitate to connect with Droog Moto.